Marcel Leteri Sasso de Oliveira is a 3rd Degree Brazilian Jiu-Jitsu Black Belt from São Paulo, Brazil. He is BJJ Coach, Referee and Athlete. Marcel Leteri Sasso de Oliveira is a World-Class 3rd Degree Jiu-Jitsu Black Belt from São Paulo, Brazil. He currently teaches in Australia. He began his training in BJJ in 1997 and received his Black Belt in 2007 from Professor Rick Kowarick of Cia Paulista Jiu Jitsu. 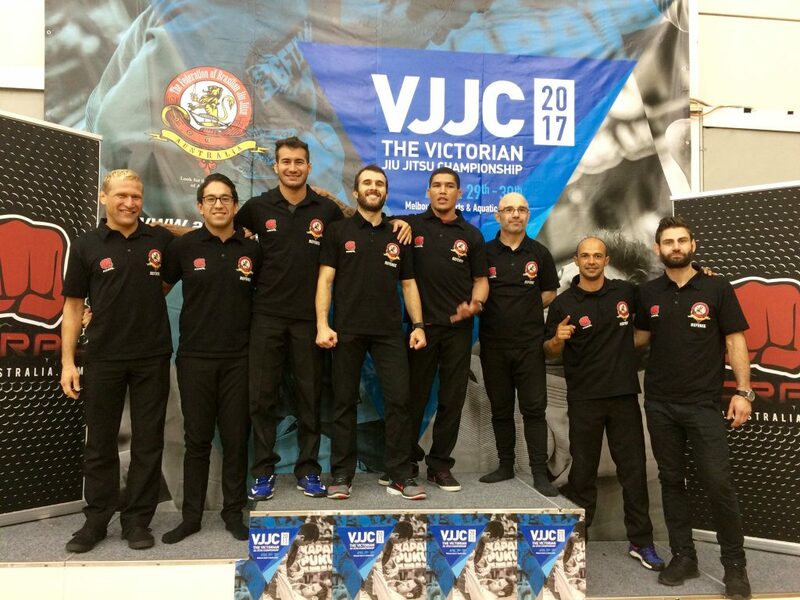 Most recently, he participated in the 2018 Victorian State Championships, where he refereed, coached, and competed to retain his title of Victorian State Champion for the second year in a row. 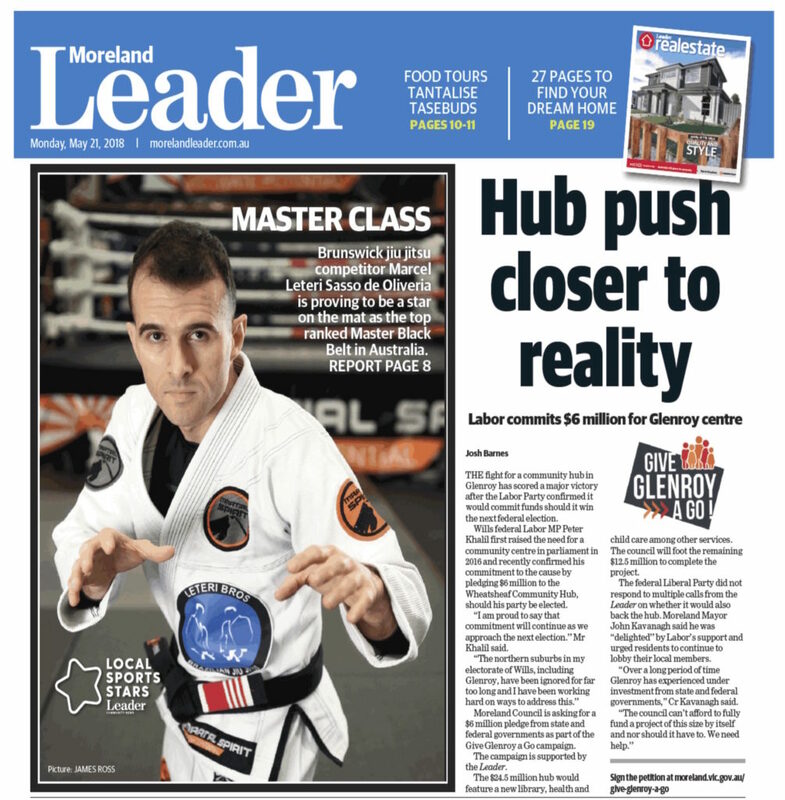 He is now ranked as the #1 Master Black Belt in Gi throughout the entire Australia. 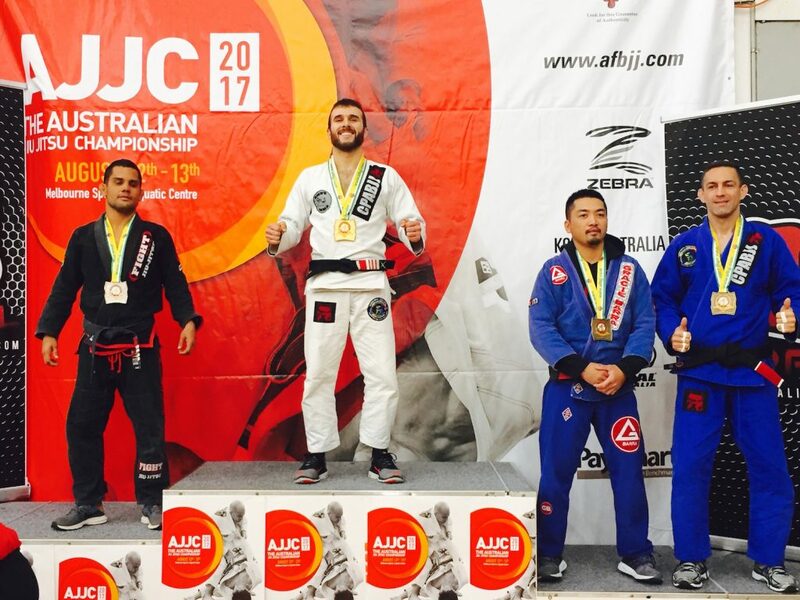 At the end of 2017, he participated in two of the most prestigious competitions in Australia, the 2017 IBJJF Pan Pacific Jiu-Jitsu Gi and No-Gi, and the 2017 Australia National Jiu-Jitsu, winning Gold medals in both Gi and No-Gi at the Pan Pacific Championship, and again Gold medal at the Australia National despite fighting one division above his usual weight division. He also refereed in both competitions over the course of all the days it was held. To date, he has refereed in a number of competitions throughout Australia, in Melbourne, Sydney, Adelaide and Gold Coast to name a few, and is working closely with the International Brazilian Jiu-Jitsu Federation (IBJJF), Australian Federation of Brasilian Jiu-Jitsu (AFBJJ) and Grappling Industries to referee, compete and promote Jiu-Jitsu throughout Australia. Marcel born November 19, 1980, in São Paulo, Brazil, is a Brazilian Jiu-Jitsu fighter, professor (coach) and referee. His family moved to Casa Branca, a small city in the countryside, when he was a child. In 1997, after trying a class with his classmates, Marcel began training with Rodrigo Serafin with whom he trained until he was a 4th-degree white belt before moving to São Paulo where he joined the Cia Paulista team. There, he trained under Ernesto Bueno Garcia “Giggio” for a short time before beginning to train under head coach Professor Rick Kowarick (one of the founding members of the team) who promoted him in all his belts. Today, Marcel is a black belt, 3rd degree with 20 years of experience in the sport, and still remains closely affiliated with Professor Rick Kowarick and the Cia Paulista team. While he was a white and blue belt, Marcel competed frequently, winning medals in every competition he participated in. In 2002, he qualified as one of the top 4 blue belts in São Paulo, earning him a spot as one of the top 16 in the world and a chance to compete at the IBJJF World Championships in Rio de Janeiro. As a purple and brown belt he was unable to compete as much as before due to work and university commitments, however, he continued to train on a regular basis. During this time, he graduated from Ibirapuera University with a Bachelor of Computer Science. In 2007 he was graduated to black belt by Professor Rick Kowarick in São Paulo, before moving to Verona, North Italy in 2008 to live with his brother Leonardo Leteri Sasso de Oliveira. In 2009, they expanded the Cia Paulista name to Italy where they founded their own team, now well-known throughout Italy as Fratelli Leteri Brazilian Jiu-Jitsu (Leteri Bros). Although he was unable to dedicate himself to Jiu-Jitsu full time at that point, he continued to compete as often as possible, winning many titles such as 3x IBJJF European Champion (2013 Gi / 2014-15 No-Gi), 2nd in the IBJJF World Master 2013. 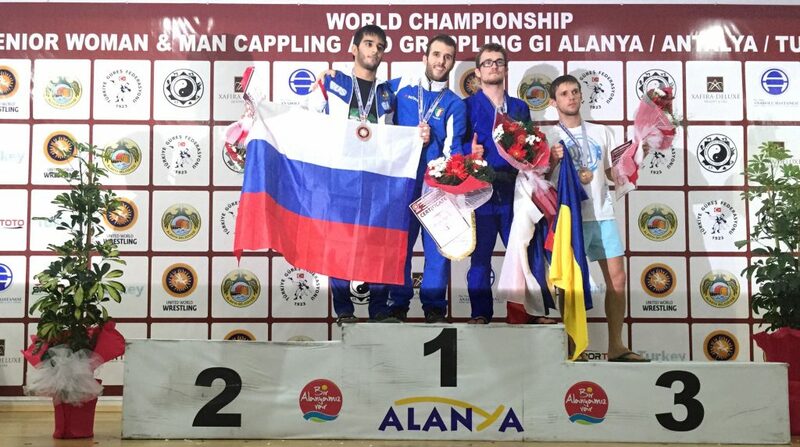 He also represented Italy as part of their national team from 2010-2015, winning the title of 2015 United World Wrestling – Grappling World Champion, European Champion in 2013, and 10 x Italian National Grappling Champion under United World Wrestling (UWW) / FILA rules. In 2014 and 2015, he was also awarded The Athlete of the Year (No-Gi and Gi respectively) by the Italian Federation of Grappling and Mixed Martial Arts (FIGMMA). Marcel also holds the record of the most number of times representing the Italian National team ever in Worlds and European championships. 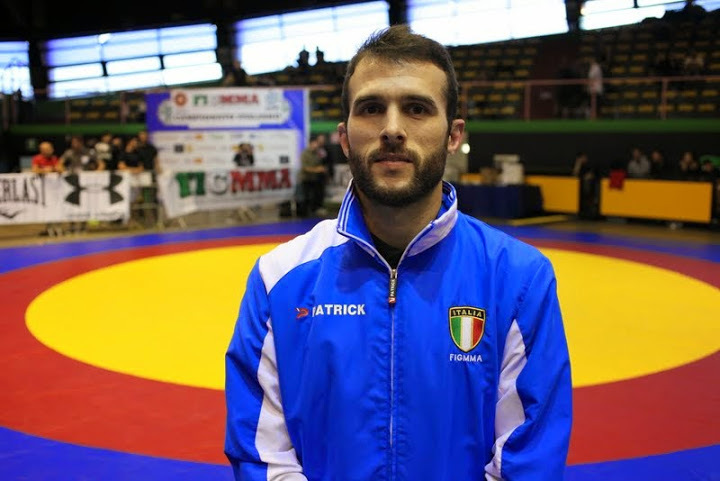 While representing the Italian National Team Marcel won the Gold Medal at the 2015 United World Wrestling – Grappling World Championship held in Turkey. Marcel in action – GracieMag #200, photo during the finals match at the 2013 IBJJF Worlds Master Championship held in the USA. Since then, he has contributed greatly to the growth of BJJ in Italy and Europe, holding seminars all over Italy and Europe and refereeing for various competitions internationally. He has also coached several beginners who later went on to become Italian National champions, and some students who medalled in major competitions such as IBJJF World Masters and IBJJF European Championship. Today, the team continues to run in Italy, now led by one of his students (Matteo Cazzola). Marcel has worked and shared his talent holding seminars and running classes in various countries such as Brazil, Italy, USA, Portugal, Poland, and UAE just to name a few, and has now expanded to Australia. In 2016, supported by Coach Carlos “Português” Vieira and Cia Paulista Australia, he moved to Australia to study English and Fitness and Sport to better improve his coaching, as his dream is to dedicate himself full-time to Brazilian Jiu Jitsu and sport-related activities. While here, he has continued spreading his knowledge of Brazilian Jiu Jitsu, and taken an active role in contributing and helping to grow the Brazilian Jiu Jitsu community in Australia. He is now the Head Coach of Cia Paulista Brunswick (DMD’S MMA), Martial Spirit, and collaborates with a number of gyms around Melbourne, while refereeing in various competitions across the country.